General George Custer was ordered to the Dakotas in the spring of 1873. 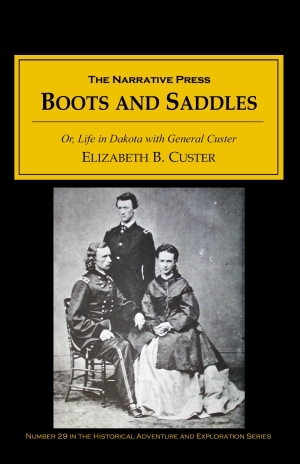 Elizabeth Custer’s Boots and Saddles (the title comes from the bugle call for the cavalry to mount) chronicles their life from that posting until the general’s death in 1876. 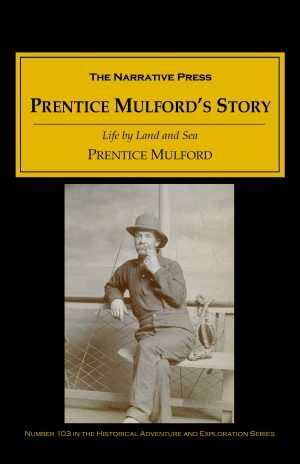 A counterpoint to the purely military memoir, her account provides details about everyday garrison life at Fort Abraham Lincoln, including sketches of townspeople, Indians, camp followers, and soldiers, as well as daily routines, and special amusements. The Custers lived in the Dakotas when it was still the “Wild West” and western legends such as Buffalo Bill and Rain in the Face also stride through the pages of this book. Courage, grit, compassion, and humor…Elizabeth Custer had them all, and they are evident here. 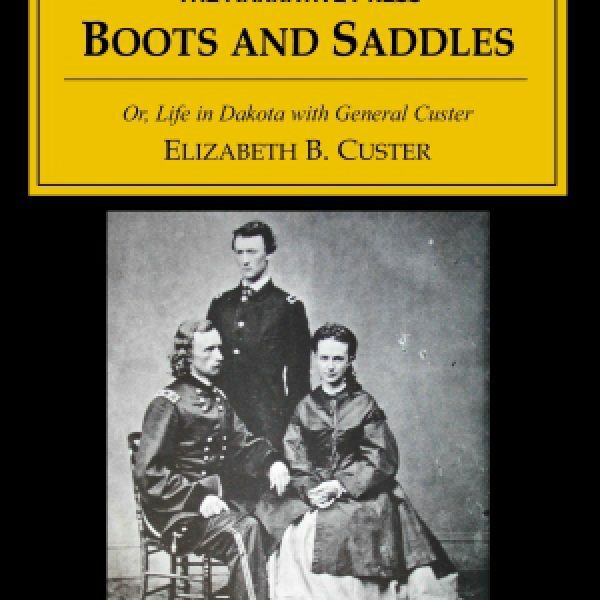 Boots and Saddles is one of the few books of military life in the 1800’s from a woman’s perspective and invaluable for that reason alone, but it is doubly important for the light it sheds on George Custer. Fun reading as well!